Tour de France countdown. 5 days to Vino finito. Home/Astana, Tour de France/Tour de France countdown. 5 days to Vino finito. ”]It’s the swan song of the kazak bad-boy Alexander Vinokourov. 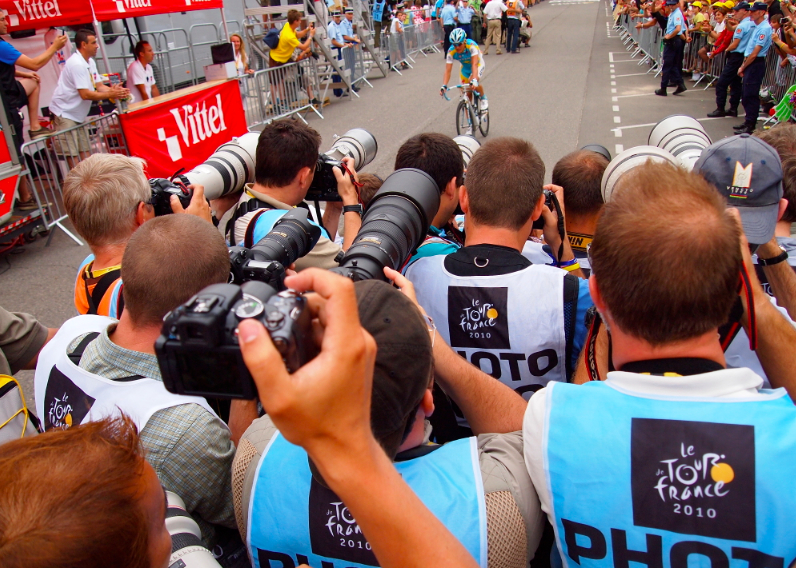 For perhaps his final tour and trick, Vino is the undisputed leader of the pale blue and yellow of Astana in the 2011 Tour de France. Who didn’t love Vino back in the day, the Telekom days when he was brash, unrestrained, a fiery ball of aggression, a pot boiling over, a chemical chain reaction that threatened to engulf captain Ullrich and the entire German squad? He was a fuchsia muthafucka. He attacked at every opportunity, good, bad, senseless, disruptive, foolish and annoying. He was a loose Kazakh cannon but who didn’t appreciate the break from calculation, from Armstrong’s relentless grind, the foregone conclusions, the pre-ordained moves, the three weeks of predictable chess moves? Vino was a badass from Kazakhstan who didn’t play by anybody’s rules but his own and he seemed to inprov half of them on the road. Well, it’s been a long, strange trip with some dope and blood bags in between but Vino is back in the good graces of the French and riding what is perhaps his last Tour. Don’t expect tears until the end when even Vino may have an emotional moment. 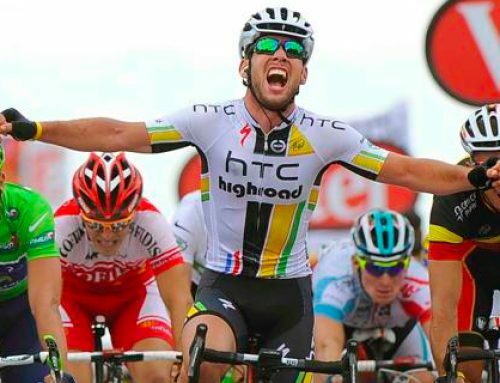 The photo above was from the day or two after Vino was denied his stage win by the aggressive work of his own captain, the Spaniard Alberto Contador. It was a prickly few hours as the two tried to patch things up, the unity of Astana hitting a rough patch. But Vino being Vino, he was soon back on the attack and this time it payed in full. Stage 13 was his and you can see the mass of photographers shooting him until the storage disks were full. He was mobbed moments later and I stood close by as a wild rugby scrum broke out, the pile moving erratically with Vino at the center. 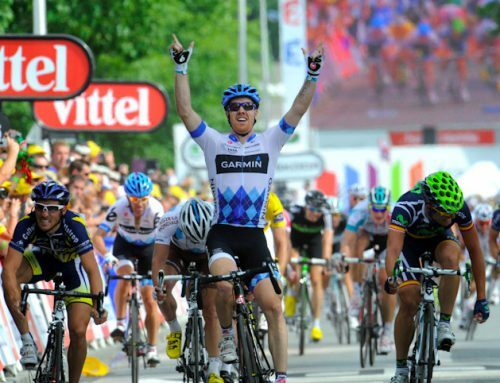 It was a classic moment of the 2011 Tour de France and one of those times we were in the right place at the right time. In the strange and impossible game of trying to cover a race, that doesn’t happen that often. A moment that seems to capture the whole day and tell the story without a detail missing. Everything was in those last few hundred meters as he rolled in and the crazed aftermath. 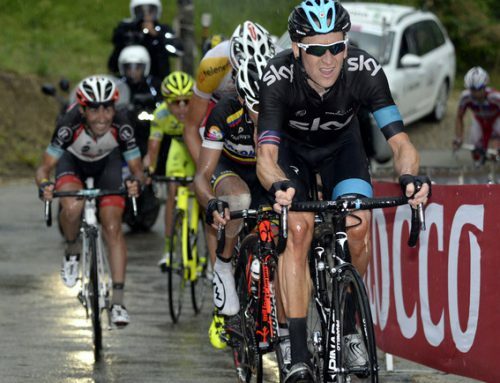 There are no easy stage wins in the Tour and like or dislike Vino, he deserved the victory. While we’re not exactly fans of the unrepentant Vino — who seems to represent the recent dark past — there’s no arguing with his heart, his aggression or his willingness to suffer to cross the line first. A twisted chapeau to Vino and we look forward to his final go around France. Drugs or not, he has always had the heart of a lion! And now crashed out of his career with a broken femur. It is a hard hard sport. Liking your pieces on this year's tour.